Tributes have been paid to Kevin Heffernan after the death of the legendary former Dublin gaelic football manager on Friday. The 83-year-old, who also had a highly successful playing career, died after a lengthy illness. Heffernan, who played for the famous St Vincent's club, guided Dublin to the 1974, 1976 and 1983 All-Ireland Senior Football titles. His Dublin team had a remarkable rivalry with Kerry during that period. After a successful underage and junior playing career, Heffo, as he was affectionately known, captained the Dubs to a National League and All-Ireland Championship double in 1958 when the Leinster champions defeated Derry in the decider. His playing pedigree led to him being named on the Football Team of the Century in 1984 and he was later picked on the Team of the Millennium. But while a talented player, Heffernan will be best remembered for his managerial exploits with his charismatic Dublin team of the 1970s. Dublin football was at something of a low ebb in late 1973 when he took on the county's senior job as they had not been involved in an All-Ireland final since the 1963 victory over Galway. However, within a year, Heffernan had guided the county back to the summit of the sport as his Dublin side defeated Galway in the decider. Dublin were expected to retain their title in 1975 but were shocked in the final by a youthful Kerry side. That game began a remarkable period of rivalry between the two counties which included the classic All-Ireland semi-final won by the Dubs in 1977. With Heffernan not in charge for that season, Dublin won that memorable contest 3-12 to 1-13 to repeat their 1976 final win over the Kingdom. Victory over Armagh ensured back-to-back triumphs for Dublin but their hopes of a three-in-a-row, with Heffernan again at the helm, were dashed in 1978 when Kerry earned a 5-11 to to 0-9 in the decider. That final was tinged was controversy because of a Mikey Sheehy goal which turned the game in Kerry's favour after Dublin had dominated the early stages. Kerry went on to achieve four successive All-Ireland titles but Heffernan worked his magic again in 1983 as his 12-man Dubs achieved victory over Galway in an ill-tempered decided. 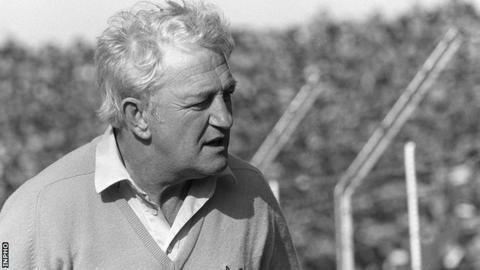 Heffernan went on to manage Ireland to victory over Australia in the Compromise Rules series in 1986. Paying tribute to Heffernan, GAA president Liam O'Neill said that he had had "an an incalculable impact not only on gaelic games in the capital but nationally helping as he did to forge one of the defining rivalries of the association". "He was one of the most charismatic and popular figures the association has ever produced and was at the same time an immensely modest man," said the GAA president. Dublin GAA secretary John Costello added that Heffernan was "ahead of his times as a player, a manager and an administrator". "He revolutionised Gaelic Football in both how players and teams prepared and operated and also in terms of the philosophy and psychology of our national games," added the Dublin official. "For his unparalleled devotion and contribution to gaelic football and hurling the association in Dublin will be forever indebted to him."